The first is to brush your teeth daily. Gum disease not only can cause you to lose your teeth, it can make you have heart problems. Consider this: scientists have confirmed that gum disease likely causes destructive bacteria to flood the blood system. Limit this problem by brushing your teeth often. Another tip to use today is to cut back on processed sugar. That means most all soft drinks. They are loaded with it. Why cut back on this ingredient ? Large levels of sugar causes quick and damaging levels of insulin to be released into the blood. Your pancreas makes the insulin. If it has to work overtime and you already have a terrible diet your pancrease can become exhausted. When your pancreas becomes exhausted and can not make enough insulin to counteract the level of sugar in your blood, diabetes can result. Stop the abnormal intake of processed sugar and the chances of this will decrease. You can help prevent diabetes in your body by decreasing the amount of processed sugar going into your mouth. The third tip is to start an exercise routine today. Modern medicine finally found out recently that exercising helps prevent cancer. It also increases your life span. If that is not reason enough, stop reading right here. Just thirty minutes a day of strenous exercise makes a load of difference if your life is an inactive one. Try it. Listen to people who are not totally obese. It is a fine line, but those who live longer are not of “normal weight” according to Psychology Today. Those who are slightly overweight are more likely to live the longest. This study was done on Canadian people. Their climate is a cold one and likely had something to do with the results. Nevertheless, it is something to think about. Eat chocolate. I think I heard you say: “Wow !” ? This statement needs some qualification. It is not just any chocolate. Real dark chocolate is high in antioxidants that reduce the effects of free radicals in the body. If you were thinking that you could eat a milky way and have better health, it is just not that way. It must be dark chocolate and have very little sweeteners. Here is a twin to along with that last tip; consume less artificial sweeteners. There are many that are just plain bad for you. The sweetener called aspartame or nutrasweet is not an ingredient to put into your body. Your body changes the aspartame into formic acid. Guess what else uses formic acid ? Fire ants use this when they bite you. They inject you with this ingredient, which is what they use for poison. It is the reason “fire ants” have “fire”. Why put the poison of fire ants in your body ? You are doing that when you eat aspartame. Stop smoking cigarettes. While you are at it, include cigars and marijuana with that. You already know why. It can help cause cancer and it also causes others who are breathing in the second-hand smoke to develop cancer. Just stop smoking. Stop over-indulging in alcohol. This substance is the reason why many have problems with their liver and other areas. Alcohol is acidic and if you are overweight, this can easily cause an acidic atmosphere in your body. This type of atmosphere is the same one that cancer thrives in. Wine taken in modest amounts, about one small glass a day, by contrast, is good for you. Liquors and other strong drinks are not good for much, except for perhaps cleaning your house. Get at least one hour a day out in the sun. Centenarians (those who live to be at least one hundred years old) have a few things in common. Working out in the sun is one of those things. If you work indoors and do not see much sun, change this aspect of your life. Taking a que from those centenarians, another tip is to start enjoying life. 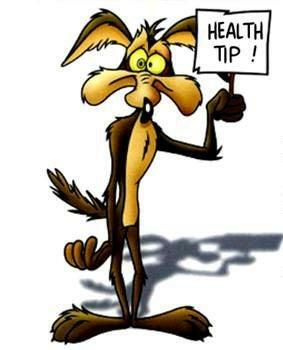 If you want a good health tip this is an important one. One of the common denominators of those who live to age one hundred and beyond is that they are not grumpy. Changing your attitude for the better is good for you. Eat more fresh fruit and vegetables. This may seem like an impossible task. Most fruit and vegetables in the hands of the Western world come from other countries, and it is not that fresh. This tip is taken again from those centenarians. Many of them eat fruit from a plant grown in their own yard. This is a true “victory garden” for health. Learn to keep your PH level balanced. The PH level is basic to all health. Cancer likes to have a low PH level to live in. Do you have one ? Learn to use PH paper to check out your own PH level and you will know more about basic health than most people. Get rid of the blind faith you have in the medical industry. They just are not worthy of it. Read more online. This is something you are doing now, and it such an important health tip I will say it twice; stop thinking that the medical industry has all the answers. They clearly do not. This change in thinking will benefit you greatly, so start today.